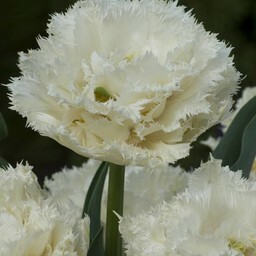 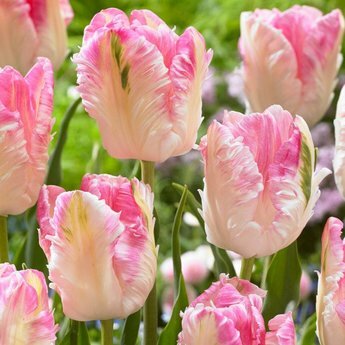 New, exclusive, large, ornate flower with beautiful edge - 10 pieces size 12/+ - Tulip bulbs will be delivered from September 15th! 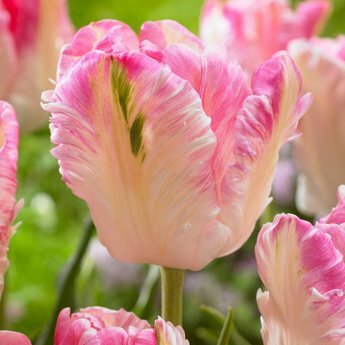 Tulip Cabanna is a beautiful, new parrot tulip and exclusively available at Tulip Store. 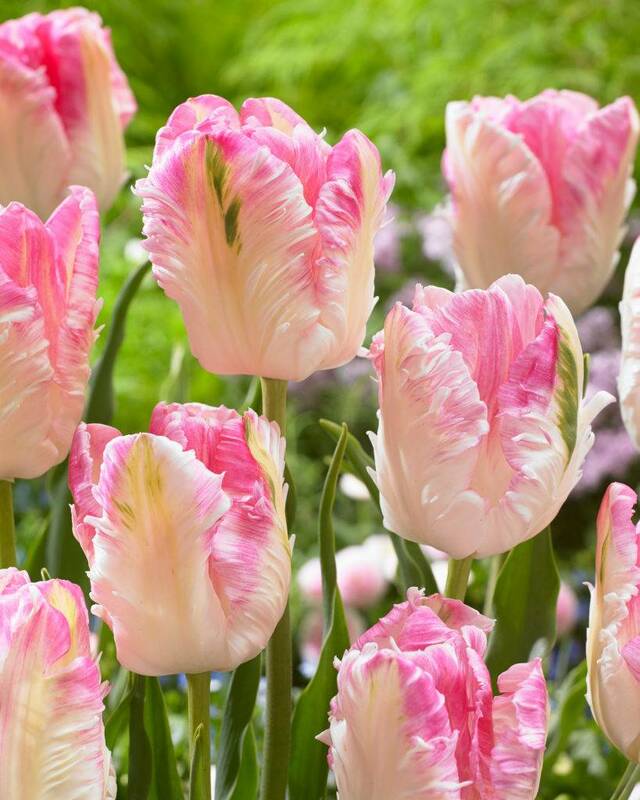 It has a very large flower with a pink edge. 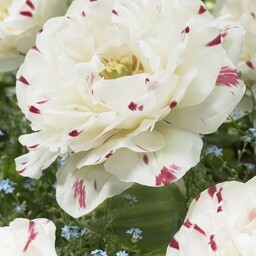 This edge is becoming a little more pink during flowering. 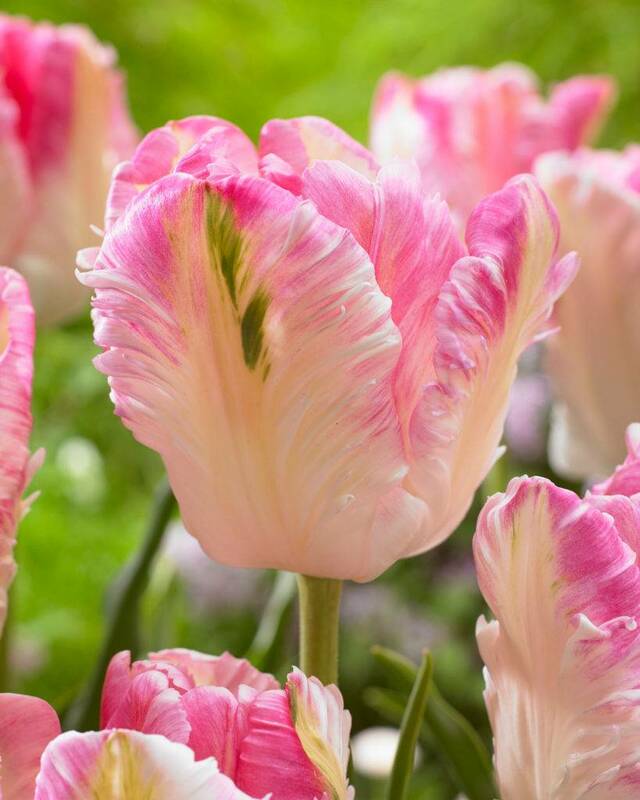 Tulip Cabanna is a very elegant flower, a real eyecatcher! 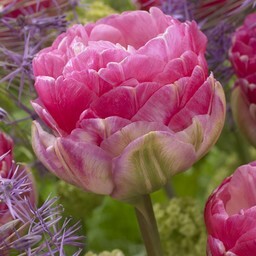 Combines well with tulip Danceline and the pink peonyflowering tulip Pink Size. 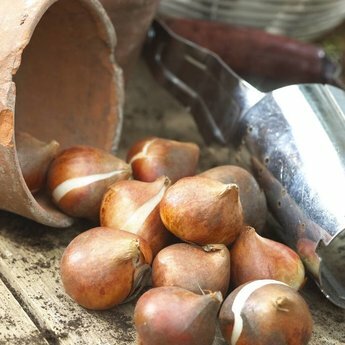 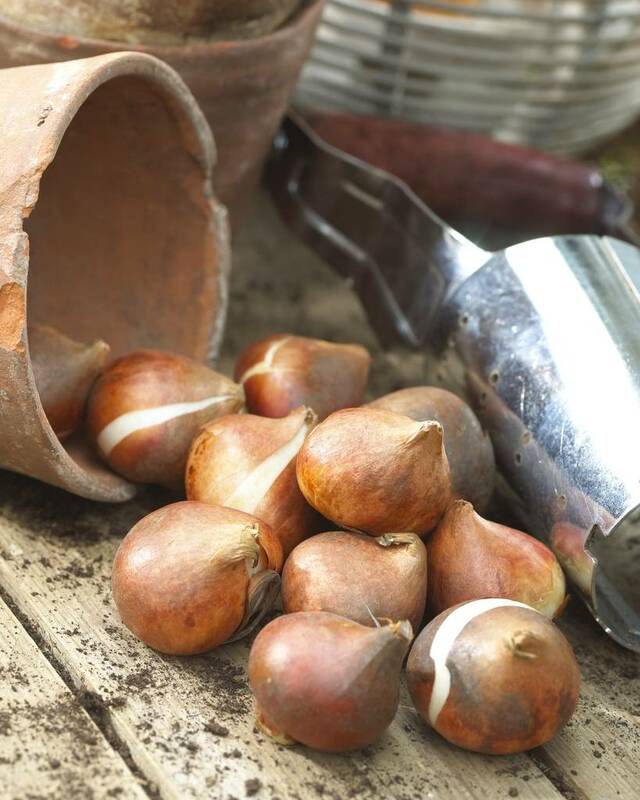 Tulip bulbs of the largest size 12/+ will be delivered.